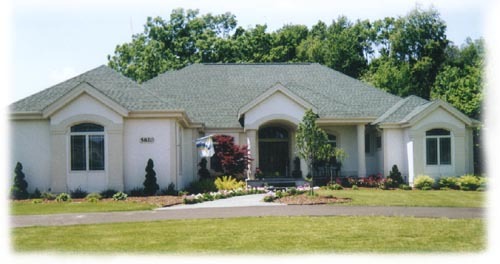 Custom Homes by Bridgewater Builders, Inc. This Florida style ranch home features a circle front drive, side entry 3-car garage and lower level one-car garage, and a beautiful landscaped yard with access to the commons area and pond. Property backs-up to Independence Oaks County Park. Hardwood Floors in Foyer, Kitchen and Breakfast Nook area. Master Bath features columned, raised Jacuzzi tub, walk-in shower, built-in TV cubby and his and her vanities. Mexican ceramic tile floors and shower. Lower Level has separate entrance from upper level garage and lower level garage. Their are two bedrooms with jack & jill bath in between and large game area. Plenty of storage space is available (20' x 32') which could be converted into additional living space. �Copyright - Bridgewater Builders, Inc.